In today’s Fix: The pictures that paint a thousand words in the Japanese disaster; Gaddafi stays classy; the HSE draws complaints on itself; the bell tolls for… er… tolls; and the mischevious wit of (Not) Cardinal Brady. We wish... BUT the M1 road toll will be a little less expensive from midnight. EVERY EVENING, TheJournal.ie brings you a round-up of the main news stories, as well as the bits and pieces you may have missed throughout the day. There is one story dominating global headlines today: the Japanese earthquake, the seventh most severe ever recorded, and the ensuing tsunami. The country has been shaken by a serious aftershock this evening, which measures 6.6 (this morning’s was 8.9) on the Richter scale. The sheer devastation caused to Japan is hard to put into words – this set of photographs gives some sense of the trauma the nation has suffered. Another worry to Japanese authorities this evening – and the country’s neighbours – is the stability of at least one of its nuclear power plants. The cooling system at the Fukushima Daiichi plant failed after today’s quake, and now the authorities have declared a state of nuclear emergency. At least 3,000 people have been evacuated from a 3km radius around the station while engineers release radioactive steam to try and ease pressure in one of the reactors. Meanwhile, Libyan leader Muammar Gaddafi has decided today would be a good day to threaten Europe with the withdrawal of his support for the international war on terror. A woman has been shot dead in Portstewart in Co Derry, according to the Guardian. Latest reports say a man has been arrested for questioning over her death. Here’s to extra change in your pocket: the toll on the M1 will be reduced from midnight. 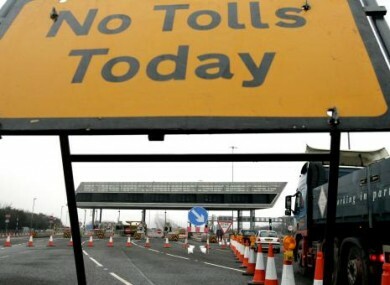 AND the National Roads Authority are looking for reductions in three other tolls around the country. Monthly complaints to the HSE have jumped by 80 per cent in the past two years, according to June Shannon in the Medical Independent. We’re saying nothing. Thank goodness/God for (Not) Cardinal Brady, the mischevious blogger who has lightened up our day with his latest installment of Cardinal Rules for TheJournal.ie. Today, he describes a priestly Lenten bootcamp. Apparently, it involves giving up pink M&Ms for 40 days and thinking about Jesus – lots. Email “The Daily Fix: Friday ”. Feedback on “The Daily Fix: Friday ”.